Cocreate.world, (“we” or “us”) is committed to protecting the privacy of our users (“you” or “your”) to www.cocreate.world (the “website”). We collect non-identifiable information to measure how our users use our website. This information may include statistics about the numbers and timing of unique visits to the site, repeat visits, and which pages are viewed. •	For statistical purposes: to track how many users we have and how often they visit the website and which pages are the most frequently visited. •	Using cookies to suggest and deliver content which we believe may interest you. We currently use Google Analytics to collect and process certain website usage data. To learn more about Google Analytics and how to opt out, please visit http://www.google.com/policies/privacy/partners/. We may send cookies to your computer in order to uniquely identify your browser and improve the quality of our service. The term “cookies” refers to small pieces of information that a website sends to your computer’s hard drive while you are viewing the website. We may use both session cookies (which expire once you close your browser) and persistent cookies (which stay on your computer until you delete them). You have the ability to accept or decline cookies using your web browser settings. If you choose to disable cookies, some areas of the website may not work properly or at all. The website does not respond to Do Not Track signals sent by your browser. •	You have the right to be informed with respect to your personally identifiable information (PII) retained by the Company. As such, you may request access to your data that the Company stores and the rights to either correct or erase your personal data. •	We will retain any personally identifiable information you choose to provide to us unless: (a) you request for us to delete the information, (b) we stop using our existing data providers, or (c) at Company’s discretion, we decide to remove the data. •	You have the right to withdraw consent provided to the Company concerning the processing of your personal data, as well as the right to withdraw that consent at any time, without affecting the lawfulness of processing based upon consent that occurred prior to your withdrawal of consent. •	You have the right to not be subjected to automated decision-making via pre-ticked boxes, additions to our email marketing lists and the like. •	You have the right to lodge a complaint with a supervisory authority that has jurisdiction over issues related to the General Data Protection Regulation. If you want to exercise any of these rights, please contact us at privacy@diplomaticourier.org. Valid requests will be honored within 30 calendar days of request. This 30-day period may be extended for another 2 months for complex requests with notification of the reasons for the extension to you. If a user’s personally identifiable information changes (such as your email address), or if a user no longer desires to subscribe to Diplomatic Courier or any of our services, we will endeavor to provide a way to correct, update or remove the personal data provided to us. This can usually be done by emailing us at privacy@diplomaticourier.org. If a user wishes to subscribe to the Diplomatic Courier, we ask for contact information such as name, email address, mailing address, and financial information. Diplomatic Courier may ask for additional information, such as content preferences. This information is used to contact the user/subscriber about the content for which they have expressed an interest. Sending us emails, registering for our newsletter, registering to attend our events, and subscribing to our content are completely voluntary and are by opt-in only. You can opt-in by registering for our events, subscribing to our content, or by emailing us for information. When you opt-in, you will also be opting-in to receiving promotional emails from us. When you register for an event or subscribe to our newsletter we collect your first name, last name, and email address in order to deliver requested items such as our newsletter, content, or event invitations. We may also collect non-personally identifying information such as your job title or industry in order for us to learn more about our audience and to tailor our products and offerings. We collect your email address online if you email our website for information or to share your opinions or insights, so we may respond to you. When you provide an email address through registering, subscribing, or emailing us, we place your email address on our distribution list to receive newsletters and press releases from us. Canadian residents will not receive promotional emails without their express consent as defined under the Canadian Anti-Spam Law (CASL). You may opt out of receiving promotional emails at any time by clicking “unsubscribe” as indicated on the promotional emails you receive. We retain your email address to continue sending promotional information as long as you do not opt out of receiving further emails. The Diplomatic Courier website contains links to other sites. Please be aware that we are not responsible for the privacy practices of other sites. We encourage our users to be aware when they leave our site to read the privacy statements of each and every website that collects personally identifiable information. This privacy statement applies solely to information collected by our website. We are in compliance with the requirements of COPPA (Children’s Online Privacy Protection Act), as we do not collect any information from anyone under 13 years of age. The website and its content are directed to people who are at least 13 years of age or older. We serve advertisements and also allow third party advertisements on our website and email communications, including newsletters, event invitations, and press releases. These advertisements are sometimes targeted and served to particular users and may come from third party companies called “ad networks.” We do not provide Personal Information to any ad networks for use outside of our website. Also, we do not provide Personal Information to any partners, advertisers, or sponsors. Read reports & papers from World in 2050 global forums and summits.  The World in 2050 is a series of global summits and forums hosted by Diplomatic Courier, in collaboration with private and public sector partners.